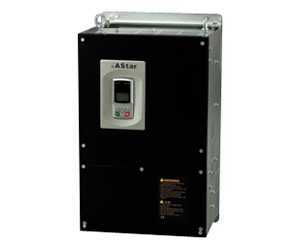 Our AS620 construction elevator inverter is specially developed to be used for the open-loop control of elevators. This product is manufactured with German technology and is designed in German style. 1. Our frequency inverter is equipped with a built-in elevator timing sequence, a main contactor and an inverter control brake. 2. It supports UPS to achieve ARD function and is able to lift the drive to light load direction through automatic control. 3. Since new PWM dead zone compensation technology is applied in our elevator frequency inverter, damage to the motor is effectively reduced. 4. Multiple methods for frequency presetting are available to this construction elevator inverter to meet the needs of complex working conditions. 5. Automatic slip compensation can reduce the effects that load fluctuation has on the motor speed change so as to achieve accurate floor landing. 6. The acceleration and deceleration time is in S-shape curve so that the elevator is able to accelerate or decelerate smoothly. 7. The built-in sensorless starting torque compensation device prevents the elevator from sliding down. 8. This frequency inverter for construction elevator adopts double thermal design. It is designed with high-precision current detection and protection device as well as comprehensive switching mode power supply protection device. 9. The construction elevator inverter we produce has wide input voltage range and is waterproof and dustproof. 10. Our product is accredited by the CNAS and our company has the UL laboratory facilities whose total value is twenty five million CNY or more. 11. We select international high-end parts suppliers to offer parts used in our production. As a specialized construction elevator inverter manufacturer and supplier in China, our company also provides general vector inverter, serial 16 segment indicator board, elevator group control system, VVVF escalator control cabinet and more.